Note: There are two sessions of this presentation. Join us to hear about the exciting new ways for SMB partners to engage with Microsoft under the new Microsoft Partner Network. You have been selected by your Microsoft contact to attend a Partner event that may be of interest to you. Academy Live webcasts are 1 hour online events for Partners and Microsoft employees using Microsoft Office Live Meeting. Connect with Microsoft and other partners; listen to Microsoft subject matter experts as they discuss their areas of expertise related to Microsoft's sales and competitive strategy. Learn more about Microsoft's products (including insight into products on the launch horizon); positioning of business value to customers; sharing wins from the field and how the account team won; world class selling skills and best practice; and leveraging Microsoft resources to maximize your productivity. Webcasts for partners caters to all depths of knowledge. To attend our upcoming Webcast please ensure your computer meets the following requirements for Microsoft Office Live Meeting by clicking here. Please consider joining me in New Orleans . . . The time to sign up is now! Why do speakers and attendees fly in from across the USA as well as Australia, UK, Netherlands, Germany and Canada? All for this unique conference with less than 200 people each year, it's a special event. It's the experience here... the people, the sessions, and the top IT Pros sharing what works and how they use that information as a consultant. The participants here are a special group, leaders in the SMB industry, experts in SBS and related products, security, Exchange, desktop management and now we are also looking at the coming opportunity for cloud computing. Swing Migration from SBSmigration.com is the top solution for SBS, or course, you knew that. Yet, with or without SBS in your plans...we still have your solution! Did you know SBSmigration.com is your solution source for ANY migration of infrastructure or Windows and Exchange replacements? Through our "custom" project support and on-demand documentation, we've worked a remarkably wide number of scenarios to complex or unique for a standard Swing It!! Kit...until now. May 2010 we are introducing a new set of Swing It!! Kits for non-SBS environments and multi-server hybrid project situations that are becoming very common. Same "nothing to undo" concepts, same step-by-step outlines, plus our outstanding support. We will be announcing these new products and presenting details at the conference in May to introduce these exciting new Swing It!! Kit solutions. In case you didn't get the missive from Microsoft yesterday, they've got a new partner for the Microsoft Financing program. By my count that's three partners in the last three years. Whatever. The program is live and well with obvious new funding. Bottom line: Your new small biz install should continue to work well with this program! We are pleased to announce that the Microsoft Financing team has established a relationship with PNC Equipment Finance, that will enhance the financing options and services available to partners and customers in the US SMS&P commercial business sector. PNC Equipment Finance provides an experienced sales force that can support channel partners with simple, easy-to-use, and affordable financing solutions with the purpose of helping customers obtain customized payment structures to fit their needs. - Facilitate the financing of software, services (such as deployment), and hardware, so the financing can be managed as one investment. - Extended Payment Terms are now available for EA's-which allows for unmatched financing flexibility. Increase Your Incremental Revenue Opportunities to Drive Larger Deal Sizes! - Competitive fixed-rate loans are available with flexible payment options for any license type. - Typically financing arrangements will go up to 24-60 months, depending on the financing program. - Low minimum size (min. USD$3k); and no maximum. Partner/Customer must be credit approved. - Customer's total financed amount must contain a minimum of 10% Microsoft products or services, including taxes. - PNC Equipment Finance uses prudent, industry standard lending terms and procedures. These capabilities allow the Microsoft Financing team to deliver efficient and outstanding customer service. You can learn more about how to put the power of financing into your sales and marketing activities by visiting https://www.microsoftfinancing.com/. Karl's 2010 SMB Roadmap Part 3 - "Big Servers, Little Servers, and Virtual Servers"
Part one in this series is The Destruction of The Channel. Part two is The Last Server You'll Ever Own. If you've paid much attention to my discussion of Cloud Computing (see http://blog.smallbizthoughts.com/#uds-search-results then you know that our little tech company has a pretty cool offering. It involves a light server on site and a cloud component. At the same time I haven't been talking about our involvement in a beta program for some super cool new technology coming down the road. What I will say is that it is exactly the right next step. It just needs to be released before it becomes irrelevant! In the last three years we have seen a dramatic series of changes in the server world. Not just for the giant corporations, but for the SMB space as well. When SBS 2003 was at end of life, our world was simple and clear. We sold a beefy server that did it all. It was 32 bit with 4 GB RAM, had a buncha hard drives, and provided everything from active directory to file storage, Exchange, SQL, Sharepoint, VPN, CRM, line of business apps, faxing, and hand buffing of your car. Virtualization has been around forever, but once processors and RAM became fast and cheap enough, virtualization technology took off. Dave Sobel and I did a seminar on managing virtualization projects a couple years ago. That has been very hot. Since then Dave has jumped in with both feet and is leading the community. His blog is excellent on this front. http://www.smbvirtualization.net/drupal-6.4/. And if you want to join in the conversatoin, check out the SMB Virutalization Yahoo Group at http://tech.groups.yahoo.com/group/smbvirtualization/. Of course the hyper-V hardware component makes all of this a lot easier and more powerful. So now SBS 2008 is out, and its super-flexible licensing makes it perfect for virtualization. 64 bit means lots of memory. Hyper-V means two server can exist on the same box without choking to death. At the same time, over the last three years, Microsoft has developed, released, and fine-tuned some smaller servers. As Microsoft and everyone else rushes to the cloud, we're finding ways to put Exchange there. And SQL, and even hosted desktops. We're moving all the easy stuff first, but I sincerely hope you can see that moving everything is just a matter of time. Microsoft sometimes runs a partner marketing program called "First Server Right Server." Well maybe the first server is a cloud server. And maybe the right server is a little Foundation OEM or HP Storage/Windows Home Server. Maybe the right server isn't SBS any more. Gulp Yes. Maybe SBS is no longer the right server for the SMB space. Maybe it will be when the next version is released. But the world keeps on spinning. At the same, on premise cloud products (Like Zenith's new Smart Style box) will allow serious virtualization at a whole new level. And products like that will open up a whole new world of computing for many of us in the SMB space. If I could force you to look at your clients and think about the future, here's the exercise. What does that look like for each of your clients? How much is hosted? Where is it hosted? How is it backed up? And how can you sell more and more clients with fewer service requests per client? In case you haven't checked it out, I encourage you to visit Cloud Services Roundtable. From time to time I ponder my life and all the things in it. If you follow anything I do then you know I am just at the end of a stupidly busy travel season. The season is, in fact, continuing without me. There are so many events this year it is impossible to keep up. After all, I'm not a reporter. Anyway, I've reached a point where there are many opportunities open before me. I could choose to do many things. And I'm going to make some changes. I just don't know what they are right now. Along my path I have realized that a good deal of the success I've experienced in the last five years has been due to a specific approach to success that I adopted. I call it Structural Success. Structural Success refers to a process of designing a business model, getting it going, and handing it to a team for execution. This would be in opposition to a Personal Success model which requires you to stay personally involved at all levels. If you haven't read Michael Gerber's book The E-Myth Revisited, please do that now. Great book and it will change your business. Trust me. All businesses start out with one person who does everything. Figuring out what to sell; selling it; delivering it; marketing it. Many people stay at this stage for years, some forever. Some will hire 1-2 people and then stay there forever. This is the "Sole Entrepreneur" you've heard so much about. This is the most common kind of success. And even when they grow slightly larger, most business owners retain this model. The owner is involved everyday at every level. The owner is the business. The key strength of this model is that a good owner/manager can reach a very comfortable living and comfortable lifestyle, and it gets easier over time. There are two key weaknesses. First, when the owner slows down (or goes on vacation), revenue goes down. So when you get into retirement age, the revenue begins to diminish. Second, the amount of revenue you can bring into a service business with this model is directly tied to hours worked. You can ask for more and more money for your time, but at some point you can only sell so many hours and then you're done. If that's "enough" money then you're good to go. As I said, most businesses start out with this Personal Success model. And most stay there. While personal involvement of the owner is a key weakness, there's a bigger one: This company can only do one or two things really well. If it tries to be a Jack of All Trades it will do nothing well. Doing only one thing means a full-on commitment to one business model, one service, one product line. That makes dealing with change very difficult. I've been in business since 1995. We got crazy busy in 1999 around the impending end of the universe. And we rocked through the dot com boom and bust. I found myself hiring people and not finding a good way to consistently make money off other people's labor. Around 2003 I decided to reformulate the company so that I could successfully hand off work and not have it come back to me. In this case, success meant 1) Good quality work and 2) profitable. It wasn't easy, so please don't think it was just because I can look back and talk about it. Eventually I transitioned to a model where all I did was to create a process, test it, train someone, and then let them do it. In the last five years I have gotten pretty good at this. I literally create a mini-business within my business and hand off a successful process to someone. I don't execute. I manage people who execute. I manage processes that execute. With this kind of Structural Success, I can create an unlimited number of businesses that just require tiny bits of my time. In fact, they can be left alone for long periods of time with no direction at all. As you might imagine, that means some pieces of these jobs are intensely boring to an entrepreneur. But they're not boring to people with different personality types. Not every project is successful. Some could be with a different management model. Some are just stupid. But I can put them in place, make them work, and then evaluate in short order. We keep what makes money and throw away the rest. You've heard me say that I fail fast. I'm not going to "fix" a process that requires me to take time away from other things or results in a Personal Success model for that mini-business. There's a famous saying from Ray Kroc, the founder of McDonalds: "We can invent faster than they can copy." That's a very powerful perspective. Lots of people make lots of money copying the original. Look on the shelf of any store. For example, you don't see iPod and one or two other MP3 players. You see iPod and 30-40 different competing devices. Same with shampoo, shoes, and computer manufacturers. One of the greatest advantages of a Structural Success model is that you can try lots of new things, try them fast, and drop them as soon as you know they don't work. If they work you can fine tune. If they work really well you can expand. This means you can jump into new technologies in a reasonably safe manner without exposing your entire company. The downside to a Structural Success model is that you have to have staff. You have to have people who can execute. That means you have H.R., employment taxes, probably a physical office, and all the lovely details that go along with managing people and processes. If you don't want to get big, then this model makes no sense. I have loved my personal evolution from Sole Prop to owning multiple companies and doing a variety of things. But personal changes in my life now allow me to re-evaluate where I am with my businesses - and my involvement in those businesses. Over the next few months I am going to be making some dramatic changes in what I do and how I do it. I can't tell you any more because I know very little more than that. All I really know is that I am walking chin up into a complete re-evaluation of everything I do in my personal and professional life. I expect the transformation to last through the end of this year. And it means that I may be stepping into a few adventures where I revisit the Personal Model of success. That means committing chunks of my time to high-value adventures. So perhaps I'll have a hybrid of the Personal and Structural Models of success. I've done both. On a totally personal level, I found that I made more money as an individual through the Personal Model of success. Payroll is a huge piece of any larger organization, so it is sometimes hard to make money even with a good model. Especially in the State of California. I also found that I had more fun and loved my job much more with the Structural Model of success. I had more freedom, more options, and I could play in the sandbox of business whenever I wanted to. Karl's 2010 SMB Roadmap Part 2 - "The Last Server You'll Ever Own"
Part one in this series, The Destruction of The Channel was posted awhile back. For about a year now I've been telling clients that they may or may not be buying a new server, depending on what's right for them. Since January we have been pushing people away from servers and into services. Now when we sell a server we are confident in saying "This IS the last server you'll ever buy." Rewind a bit . . .
We're at a point in the evolution of servers and the SMB space that makes the future very easy to focus on. Two years ago this was a little harder to see, but not impossible. I remember sitting with Vlad Mazek at the Microsoft Partner conference when they announced that Microsoft would be selling directly against the partners. We both blogged about it at the time. About the same time, I entered into a series of sometimes-public conversations with people about overloading SBS and servers generally. At the time, we were asking a box with 4 GB of RAM and a 32 bit O.S. to run Server, Exchange, SQL, ISA, and SharePoint while serving up files, authenticating logons, handling remote access, and acting as a fax machine. "By 2012, I believe everyone will have come to grips with the fact that Exchange does not belong in the small office. As a consultant, your options are to become a hosting provider, become a hosting reseller, or simply find a hosting company for your clients' email. With luck, we will also have come to grips with the fact that a public-facing web server shouldn't be in an office too small to handle an attack in real time. So that's hosted. And let's all hope that bandwidth continues to increase while the prices decrease. So we'll all have two or three times the bandwidth we have today. Let's assume that the micro businesses don't want a "home" server. So the first thing you do is scrape the label off with a razor blade and put on a label that says Biz Server Nano. . . ."
After that I laid out some ideas about the kinds of servers we'll be seeing in order to make this reality come true. In particular, I discussed a hybrid of the SBS and Windows Home Server that I called Biz Server Nano. I'm happy to report that Windows Foundation server is about 90% of what I predicted in Biz Server Nano. Have you seen the commercials where people say they invented Windows 7? Well I take full responsibility for the Windows Foundation Server AND the next cool server coming out of Microsoft's SBS team. At the same time, in my blog post from February 23, 2008 I said that Windows Essential Business Server (centro) will have both been released and taken out of production by 2012. It disappeared a lot faster than I thought it would. I was on the beta program for that product and stopped participating when I realized that I would never sell it to a client. I also noted at the time that . . . "If Microsoft doesn't provide the right combination of servers, someone else will." Now there are challenges from Lotus and IBM, not to mention Linux in the cloud. No one needs a server. They need technology. They need storage. They need Exchange. They don't need to own their own as long as they have the services they need. That's where cloud computing comes in. What's next? Well, think about the very small office (1-15 users). If you owned such a business, or were starting one today, what do you need from technology? Break out of your techno-goober mold and address this question from a totally new (client) perspective. What do you (what does the client) NEED? You need email. Still the killer app of the Internet. You need calendars and collaboration. You need as much of your office as possible to be accessible from phones, iPads, laptops, and other remote devices. You need an Internet connection!
. . . and what don't you need? You don't need to own a server. You may have to have one under some circumstances. But don't assume so. You don't need to "own" software licenses. You don't need hard drives, power supplies, and a server room. You don't need a big phone system bolted to the wall. Technical consulting is a strange business. At all levels we run into people who are at various levels of "do it yourself" making major decisions about technology spending. We've all got clients who have somehow managed to patch together elaborate systems that work - without the advice of consultants. It may not be the perfect system, but it works for them and addresses their comfort levels with regard to budget, uptime, usability, and reliability. These folks are now figuring out how to store files "out there" somewhere. They're figuring out how to get by without owning six Office Pro Plus licenses at $500 each. They're figuring out how to get voice systems that don't require a box on the wall, and email/collaboration systems that don't require their own server. They're figuring out how to get Blackberries and iPhones connected. Yesterday, when you came into their office, you sold them a server and simplified their life. Tomorrow you'll offer them a combination of services that works better together and is more easily managed (but no physical server). So what are you offering today? Write this down and we'll revisit in 24 months: I believe you have about two years left before the technology you sell has absolutely zero resemblance to what you were selling on January 1, 2010. I could be wrong. My last batch of predictions came true in half the time I predicted. In many cases it still makes sense to sell servers, to own servers, and to rely on servers. In many cases it still makes sense to sell on site backup solutions because you'll need to recover on site when something goes wrong. In many cases it still makes sense to install hardware and software "locally" because either 1) the programs don't work efficiently over the Internet, or 2) the services are not powerful enough unless they're local. But even today you can see that both of those objections disappear if you have everything hosted and all you do is connect to the robust systems "in the cloud" with an adequate client (RDP, Citrix, etc.). Microsoft, Google, IBM, Intel, and others are actively developing servers designed to integrate on-premise solutions with hosted solutions. And where they're lagging behind the obvious need for integration, people are figuring it out on their own. Clients are figuring it out. Consultants are figuring it out. I need a setup wizard that asks . . . Without the wizard, I have to do all this myself. And that's what we're doing today. But any minute now I expect someone to provide this integration service. It will be built into the O.S., but it might also be provided as a service online. In our most recent postcard campaign, we ask Which of these do you prefer? - "I want to own a big server that costs a lot of money and I want to pay to maintain it for three years. Then I want to buy another one." - "I don't care about servers. I just want my technology to work and to help my business be more successful." Note: KPEnterprises will help clients no matter which option they choose. But in the Micro space, we think the cloud based option is the most obvious. We recently posted up three programs that lay out the migration process from SBS to cloud computing. Two of these were done in conjunction with Managed Services Provider University and one was a Cloud Services Roundtable broadcast. All of them are posted now at www.cloudservicesroundtable.com. We have one more with MSPU scheduled for May. If you haven't yet received push-back from clients when you talk about new servers, you will soon. By the end of this year, on-premise cloud solutions from Zenith Infotech will rock our world. At the same time, new server hardware and operating systems will blast the Gospel of the Cloud across the country and around the world. Just as with Managed Services, you don't have to come up with the perfect solution before you jump it. It's much better to design a solution that allows you to make money and gain market share today. You know how technology is: whatever you come up with has a short shelf life. So you might as well get in the game now. Luckily, this one's pretty darned easy to figure out. Okay. Let me repeat. Cloud. Cloud. Cloud. Cloud. Cloud. Cloud. Cloud. Some of "The Cloud" is old stuff with a new name. Example: Hosting. Some of "The Cloud" is super-cool out-there stuff that's totally on the cutting edge. Some of "The Cloud" is vapor ware that may or may not ever come into existence. [Side note cuz . . . well, cuz it's my blog . . . I had a long conversation with an MVP I respect tremendously who reminded me that being privy to inside stuff at Microsoft is really cool until you tell people about what's about to happen and Microsoft suddenly changes their mind, discontinues a product, or cancels something they are about to release. Please join me on the Cloud Services Roundable Wednesday April 14th when we talk about Why My Company Is Offering Today: Karl Talks About Specific Offerings and Plans. KPEnterprises started selling cloud-based offerings (and calling them that) in January. We've been blogging and talking about these offerings for years. Now we're ready to share some sample offerings with the SMB Consulting community. That means sales materials, discussion points for clients, configurations, and migration processes. We're going to try to cram it all into 60 minutes! Product names, descriptions, costs, prices, etc. We're going to expose it all. KPEnterprises is offering some cloud-based services, including hosted Exchange, hosted servers, "Managed Storage," offsite backup, serverless office, and combinations with a small server (e.g., MS Foundation Server) onsite and other services in the cloud. Is it profitable? Yes. One client recently went from "classic" Platinum managed service to hosted Exchange and Managed Storage. Their monthly bill went down about $130 and our cost for delivery of all services went down 90%. Gulp. I can do that all day. Join us for the specifics . . .
Loving "Cloud Computing" - "Fly me to the moon . . ."
KPEnterprises (Sacramento's premier technical support company) is actively developing cloud service offerings and selling them to our new and existing clients. We've developed a sweet little offering for micro clients (ten users and less). So we've got some cool webinars and podcasts lined up to talk about it. Last month I did a webinar with MSPU that was an overview and introduction to moving to cloud services for the SMB Space. You can go download that right now at www.cloudservicesroundtable.com (in the member area). That webinar is the first in a three part series called Migrating from SBS to the Cloud - Part 1 = The View from 20,000 Feet. This week's installment looks at the process of choosing the and services that you'll bundle together in your offerings. I'll give examples from my company's cloud service offerings and show you how they compare to non-cloud services for our clients. That means sales materials, discussion points for clients, configurations, and migration processes. We're going to try to cram it all into 60 minutes! I won't attempt to be very unbiased here. That means I'll talk about the specifics of what we're doing, including brand names. KPEnterprises is offering some cloud-based services, including hosted Exchange, hosted servers, "Managed Storage," off site backup, serverless office, and combinations with a small server (e.g., MS Foundation Server, WHS) onsite and other services in the cloud. Please join me for one or both of these events. They are free and open if you listen live. Ideally, both will be recorded and made available as soon as we can. •NOW: Add the Dinner and Travis Austin Option for only $29 more. - Differentiate yourself from your competition! And, of course, the skills and techniques used in a ZDTM (Zero Downtime Migration) will raise your technical ability to a new level! •An Introduction to Zero Downtime Migration Strategies - with lots of room for your questions! Gather at 8:30 AM. Finish at 5:00 PM. Arriving too late for the morning session? Register for after-lunch only. Starts at 1:00 PM and goes til 5:00 PM. Evening Add-On Add the Evening Option to include dinner and Travis Austin's Pump Up The Auto in Autotask seminar. Pump Up The Auto in Autotask! Add dinner and this 90 minute seminar for only $29 ! We've been getting some questions on ZDTM - Zero Downtime Migrations. The questions generally fall into three categories. 1) How fast can I come up to speed (get value) out of the big book? 2) How does our method differ from . . . Microsoft's SBS 2008 Migration technique or Jeff Middleton's Swing Migration process? 3) How will I get $250 of value out of this product? Seems like a lot of money. "Is it possible to get the ZDM book, absorb it, and do a migration in a month? I have done Swings before. Poised on the buy button." Well, the answer is a resounding . . . Maybe. Yes you can learn Zero Downtime Migration strategies in short order. Mastering it will take a few migrations. The more you already know about all the pieces (Active Directory, email, SQL, DNS, DHCP, etc.) the faster you'll learn. We assume you know everything you need to know. We provide a description of the process and an approach to creating a zero downtime experience. After that we provide a detailed (220 page) checklist. You cross off the irrelevant pages, fill in the relevant ones, decide how to accomplish each element in ZDT, and then proceed. If you're sharp (and I assume you are if you've done a Swing migration), then you can absolutely learn this in a month. If you're very hesitant about the limits of your knowledge, then you'll need more time. We do not introduce any new technical information here. Essentially, we give you a framework for making your project work, and a big checklist that you need to customize for your purposes. In the big, big picture, we work hard to make sure you don't run into any "unknowns" or mysteries in the middle of the project. Here's our money back guarantee: Even if you don't learn to carry off an amazing zero downtime migration in a month, you'll still save enough time with our checklists and techniques to pay for the book - or we'll give you your money back. 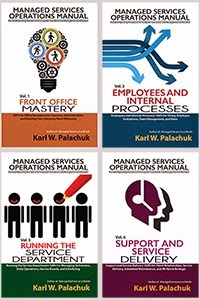 We have one section (resources) that we were offered $100 for at last year's Autotask preday - five months before the rest of the book was ready. We feel very confident that you'll find value here. For anyone who understands each of the components being migrated, the checklist is pretty clear. For those who do not, it will serve as a great training tool to help understand those components. As always, we recommend you run through these things on a test bed at least once. When you do you will find that because we use no special tools or tricks the procedures are highly flexible and robust. First, you need to understand that our book covers every aspect of the migration process. This includes defining the project, treating it as a project, quoting the project, creating the service requests, managing the project, managing employees, managing third party vendors, managing client expectations, keeping the project in scope and profitable, AND the more mundane elements of moving the data, migrating Exchange, migrating SQL, migrating desktops, migrating profiles, etc. Microsoft's process deals with a few key pieces of this, but is not intended to help you with the first ten items listed above. And for many of the others, their instructions are pretty sparse ("Okay. Now go migrate active directory.") In addition, Microsoft's process has two serious disadvantages. 1) It guarantees downtime. There is a point at which you have crippled the old system and not yet transferred the FISMO, AD, and Exchange to the new system. Everything is down. 2) There is no way to tell how long you will be offline or where you are in the process. Exchange migration gives you a blank screen with no indication of progress. You just have to believe that it's working. Swing Migration (see sbsmigration.com) and Jeff's toolkit give you a lot of very powerful tools for cleaning up and transferring the A.D. and FISMO roles. It is extremely well documented and, unlike the Microsoft method, you will never be lost. But, again, Jeff's toolkit is not intended to address most of the items listed above. He's not guiding you through the project as project. He's providing tools to accomplish a specific piece of that process. Note: There is nothing inconsistent between our method and Jeff's. Part of our process is to determine how you will accomplish ZDT (zero downtime) for each piece of the migration. At a few key points you may choose to use Jeff's tools. That's not true with the Microsoft method. While we explicitly use Microsoft tools to make the migration go smoothly, we do not use or endorse the Microsoft Migration process. It is incomplete, guarantees downtime, and violates the Prime Directive of Migrations: It leaves no way to go back in case something goes wrong. Of course you can overcome this by creating an image before you start. But the overall process is unappealing to us. Swing and our ZDTM method both allow you to minimize downtime and never leave you "out of business" no matter what goes wrong. I'm totally biased, of course. But we see this as more than a book. In addition to the checklists and training, we see this as a process you can use to make money. We thought about calling it a "kit" and charging a lot more. Preliminary market research showed that that appealed to larger companies and not the S part of the SMB consulting market. So we settled on a price that represents 2-3 hours of labor (depending on what you charge). Even if you never attempt a Zero Downtime Migration, you will save 2-3 hours labor on the first migration project you do. Why? Because we have checklists and templates and resource guides for everything. We provide PowerPoint and Excel spreadsheets to help with quoting and client education. This really is a massive resource guide for Network Migrations. Even if you choose to use the Microsoft method, we think you'll find our 220-page checklist useful in making sure you consider all the factors in your migration process. For a table of contents, see www.networkmigrationworkbook.com. For user testimonials, see www.networkmigrationworkbook.com. Now, do yourself a favor and just buy a copy right now! You won't be disappointed. I'll be happy to try to answer questions here. Technical questions may be referred to www.zerodowntimemigration.com. My good friend Jeff Middleton has swung a deal with the Microsoft Partner team in Canada to do a four-city tour of Full Day Deep Dives on Migration to SBS 2008. All the juicy details are at http://blogs.msdn.com/cdnsbsc/archive/2010/03/25/join-the-2010-sbs-migration-tour-montreal-mississauga-richmond-calgary.aspx. Are the majority of your customers running older versions of Windows Small Business Server at the heart of their network? Would your team benefit from learning a faster and more predictable approach to migrating these environments to/from Small Business Server? Then Microsoft Canada proudly invites you to join the Small Business Server Migration Tour and expert Jeff Middleton of SBSmigration.com for this special 1 day deep dive into the latest deployment scenarios for Small Business Server, migration techniques, and tools. You will also learn how technologies like SharePoint®, Terminal Services, and Remote Web Workplace can change the way your customers do business. Watch Jeff Middleton's latest video and get a preview of what SBSmigration.com will be bringing to this special event. This 1 day deep dive is intended for Technical Decision Makers, Technical Services Managers, Technical Sales, Infrastructure Specialists, Small Business Specialist Community Partners. - All Day Event. Includes Breakfast, Lunch, and 8 hours of information! Note: These links were fixed after the original post had errors for some people. Register now for this GREAT all-day event! New: Join Travis Austin for only $29 more than you'll get dinner as well! Three Topics . 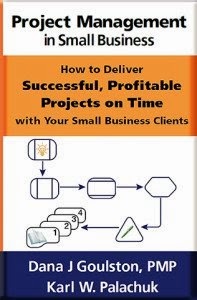 . . to make you SMB Consulting more profitable . . . This is an EIGHT HOUR even that includes Lunch and breaks . . . for an early registration price of only $199. Add the Travis Austin Dinner and Autotask Super-User Seminar for only $29! Register Now. Sign up now for Travis' Seminar . . . Get dinner and amazing information on top of Karl's all-day seminar! The best deal in the SMB Space! Join Travis Austin for Dinner and a Great Presentation! Only $29 - Includes dinner! Register for the Travis Austin Dinner and Autotask Super-User Seminar for only $29! Register Now. When Autotask expert Travis Austin isn't answering questions on the Autotask CommunITy website, he's either developing innovative Autotask-centric integrations, or he's flying around the country to consult with other Autotask customers to help fine tune their use of the Autotask platform. Watch and learn as Travis shares a number of tips, tricks, and best practices which will surely supercharge the power of Autotask within your own company. He'll cover basic Service Desk configuration, share some awesome workflow ideas, and describe ways which Autotask talks to third party products and platforms to save you time and increase your effectiveness as an IT service provider. and Issue Types to best manage the ticket lifecycle. automate ticket flow and score points with customers. with Autotask to automate ticket generation, modification, and escalation.